Ameraseal is your one stop shop for fasteners. 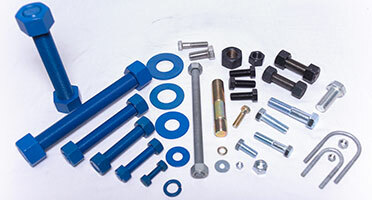 We have a full line of Xylan Coated (blue) B7 Studs and Nuts, B7 Black/Plain Studs and Nuts and Zinc Plated Hex Head Cap Screws in Grade 5, Grade 8 and 316SS. Flat washers, lock washers, nuts, studs and cap screws. We have it all.